Soda bread which is good the next day! 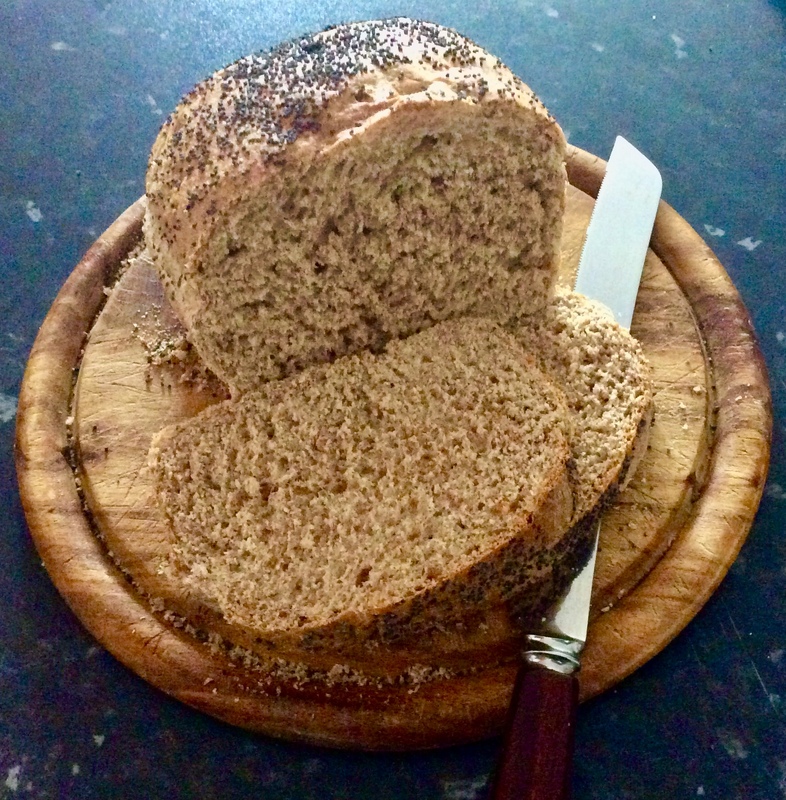 I didn’t expect to be writing a post about soda bread so I didn’t take a picture of the loaf. Only today, when I found that it was delicious when a day old I decided to post, by which time this was all that remained. It is well-known that ‘Irish’ soda bread is good only on the day it is made, or so I have always understood (and that has been my experience). Consequently, I only made it when we had an ‘out of bread’ emergency, as yesterday, with no time to make a more conventional loaf (shop bought bread in the UK is not good, even in my opinion expensive ‘artisan’ loaves. I’ve been spoiled by German breads). Because there are only two of us I always struggled to make a small enough quantity to eat on the same day (I hate discarding food but the birds were happy). As Wednesday is one of our ‘veggie days’ we decided yesterday to eat an avocado each followed by ‘iahnie’ (pronounced, roughly, yak-nee-ay), a puree of butter beans for us but of the much larger ‘boabe’ (bwar-bay) beans in Romania, with bread. It’s usually flavoured with garlic, maybe other things like herbs. No bread so I made a soda bread (but not the ‘real’ one as it calls for buttermilk, which I did not have). We ate it straight out the oven – the iahnie is cold. As usual we had some over so it was put in a bag, hot, still steaming when broken, with the idea of giving the birds a feast today. But, guess what, it was soft and absolutely delicious today when we ate it for our lunches. Poor birds! Mix the dry ingredients well in a bowl. Pour the lemon juice into the milk (it’s magic!). Stir in the honey till dissolved. Make a well in the flour etc, pour in the ‘artificial buttermilk’ and mix with a spatula till the ‘dough’ is ‘together’. Shape into a round loaf, put on a floured baking tray (I use coarse semolina), cut a deep cross in the top and put in the oven preheated to 180degC (that’s my fan oven; I guess 200degC for ‘conventional’ oven). Bake for 30 minutes or till it sounds hollow when rapped on the bottom. Note. This made a very ‘sloppy’ dough, difficult to handle and shape, so next time I’d add a bit more flour. An apology to my women followers! 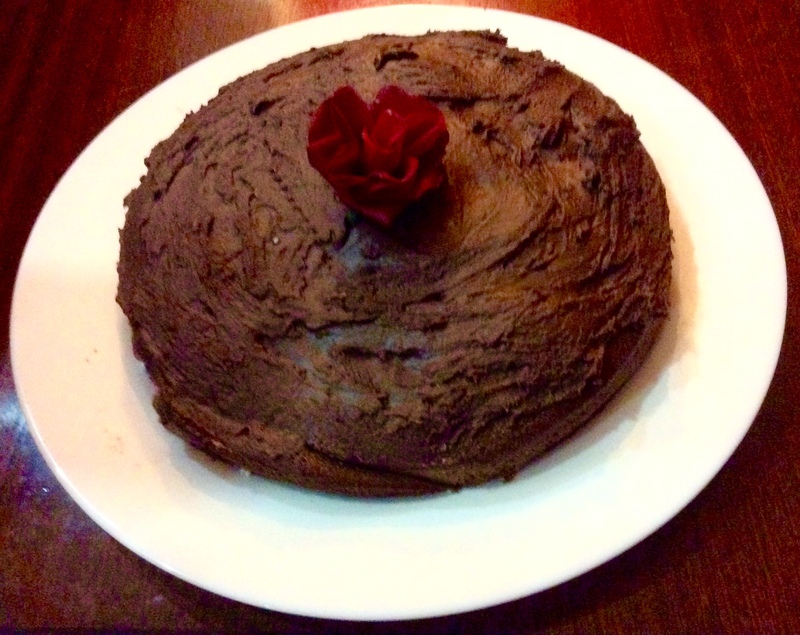 Feb 6 not a day for ‘celebration’ – but a one egg chocolate cake celebration for me! Haven’t had a ‘grump’ for a while but yesterday gave me cause to live up to my name. Up and down the UK yesterday there were ‘celebrations’ for the centenary of women being given the vote in Britain. Celebration? Surely it’s a day of shame that 100 years after passing of the 1918 Representation of the People Act, allowing women (but only those aged 30 and above who owned property) to vote, women are still treated unequally in so many areas, not least in equal pay for the same job. Then of course there’s the ‘glass ceiling’ preventing women taking so many top jobs. And abuse of women is still rife in the workplace and other places. Young women are still being forced to marry men they have never met and millions still suffer female circumcision. I’ve batted on about this so much in the past that, having made the point, I will not continue here but to say that yes, things are getting better but we’re still a long way from a reason to celebrate. Let’s make 6 February a British ‘Day of Shame’, starting in 2019, until such practices are cleared completely, at least from the UK. I did, however, have something to celebrate. On the 6 February 1999 I went to a birthday party, so did the young woman who was to become my wife a year and a half later. Both of us identify this occasion as that at which things ‘became serious’. So, we don’t celebrate St Valentine’s Day, which sadly has become yet another commercial nonsense, but we do remember this day. The cake itself is good but the simple chocolate icing makes it too sweet for our taste (and American icing sugar must be different to ours as 2tbsp of water does not make that amount of icing sugar ‘spreadable’). It would be better for me with a ganache made with high cocoa chilli chocolate. 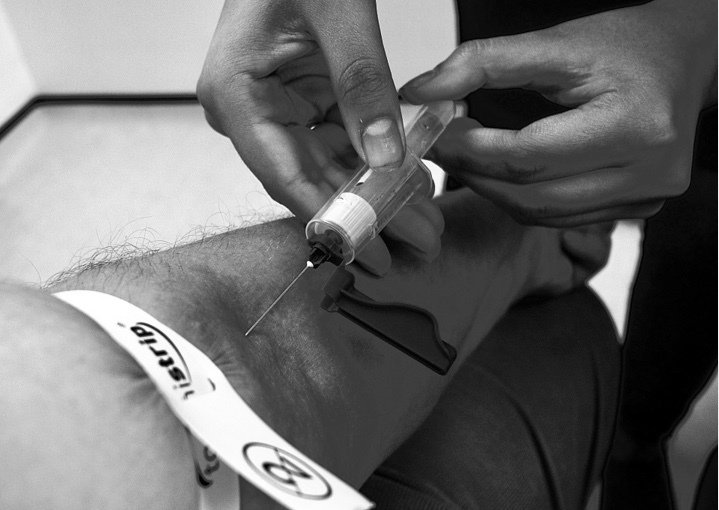 It’s time (tomorrow) to visit my consultant (doctor) at the hospital so I needed to have a blood test today. The hospital is about 12 miles away, my family doctor 2-3 minutes on foot. In theory I could get the blood test done at the family doctor but they’ve always ‘lost’ it so I go to the hospital. I usually go very early, before everyone sent by the doctors on their rounds arrive, but this morning I couldn’t do that so I went at lunchtime when it is again quiet. How to fill the time? Clear up the kitchen, read blogs, comment on some and make some bread! I decided to make my usual bread, lazy bread as the hard work is done by a breadmaker (£10 in a charity shop many years ago). So, I made two tin loaves; I usually do this now as being only two of us the majority is sliced and put in the freezer. 500g wholemeal strong bread flour; 168g wholemeal spelt flour; 10g butter; 2.1/2tsp sugar; 2.1/2tspn salt; 7g dried fast acting yeast; 432ml water. Put the water and butter in the bread maker. Mix all the dry ingredients in a bowl. Spoon them on top of the water in the breadmaker. Set the breadmaker on the ‘dough’ programme and switch it on. All that takes a couple of minutes. Leave till the programme is finished (1.1/2 hours on my machine), meanwhile you can read some blogs, comment on a few, and write your own post (or you can sleep till the beep sounds). Tip the dough out onto a floured surface. Fold over and push with the heel of the hand 12 times. Shape into a round, cut in half, shape each half into a sausage the length of the bread tins, put them in the tins, make three deep slashes in each. Optional: paint with milk and sprinkle on poppy seeds. Put into a warm place (I put in the top oven set to 50degC). Cover with a cloth and leave till well risen (for me 1/2hr) during which you can have another catnap. Have the oven at 180degC. Bake for 20 minutes. Tip out of the tins and put back directly on the oven shelf till tapped on the bottom it sounds hollow (5-10 minutes. You get to know from the sound of the first tap when you’ve made a few). Leave to cool on a wire tray. The phlebotomists at the hospital (Airedale) are great, as are all the staff. Until I began to have these regular pricks I was a bit nervous. I cured it by taking a photo of the needle going in and enjoy the short chat with the lady taking my blood. I was even more nervous of the ‘big needle’ which gets stuck in my belly every 3 months. I usually manage to have the same nurse, Hafsa, who makes me laugh and I hardly feel a thing. “It’s a screwdriver, not a needle,” she tells me. I’ve never dared to look. The nurse in Romania this summer, Paula, was equally expert. When I saw Tanya’s picture of her ‘grandma’s bread’ I thought it looked delicious. When I read her post I was surprised, the recipe broke all the usual rules of baking bread (eg no proving, put in a cold oven, etc) so I just had to try it even though I’d said in a post shortly before that I’d settled on my recipe for bread. I’ll not give Tanya’s recipe here, you will find it on her blog (link at the end). You’ll even learn the Norwegian for grandma. So just some comments. Sorry, this is not my attempt at Tanya’s grandma’s bread; Petronela deleted it 😱. You’ll just have to believe me that mine look pretty much as the picture on Tanya’s post. This pic is my usual bread. The closest thing I know to it is Irish soda bread though that uses bicarb of soda not yeast. I make this, usually for Sunday breakfast when we’ve run out of bread and I’ve ‘forgotten’ to make any. It’s delicious and very quick and easy to make but the disadvantage is that you must eat it more or less immediately. Even the next day it’s not good. Tanya’s grandma’s bread is just the opposite. It seems to improve with age (I made it three days ago and so far it gets better and better). First it had a very hard crust when it came out of the oven; now it’s soft, but not tough and chewy which I don’t like. Secondly, although it tasted good when fresh it has tasted better with each passing day. I didn’t have fresh yeast so I used quick dried yeast (1/4 of the quantity of fresh). I didn’t have sesame seeds so I chucked in a load of poppy seeds. Finally I read (I think misread) Tanya’s recipe as having a quantity of milk with water, but then another 300ml of warm milk to which the yeast is added. This seemed too much liquid to me so I reduced the amount of milk/water by 300ml. It turned out OK so I think that is what she meant. Final conclusion: very tasty, worth making for the taste. It didn’t seem to me to be much quicker or easier to make as mixing it (by hand) is a messy job and it takes an hour in the oven but I guess it will get quicker with practice. My ‘cheat’ of letting a breadmaker do the work before baking in the oven in my recipe is less hassle. I recommend you try it. Great for grown-ups too. I must be getting back to normal; it’s taken almost two weeks following our marathon trip of approaching 5,000 miles over 45 days. First, yesterday, I made the first ‘full English’ breakfast since our return; today I’m baking bread for the first time (couldn’t bear any more from the shop, even ‘good’ bakeries) and I’m making ‘leftovers’ soup – from the carcass of a roast chicken with some mushrooms. That’s what I call ‘back to normal’. It was only laziness that delayed breadmaking till now and I’m sure I’d offend that tv celebrity baker, Holiday Inn or something. I’ve long settled on my own recipe and let a breadmaker do the hard work, do the second rising in the warming oven, so all I do is a very brief knead, divide into two tins and, after doubled in size, put the two loaves in the oven to bake. If I lived in Germany I’d probably be even lazier – I’d buy my bread from the bakery. I prefer the firmer consistency to the airy ‘foam’ we get here. My recipe, two tin loaves from: 500g wholemeal strong flour; 170g of wholemeal spelt flour, 430ml water; 10g butter; 2.1/2 teaspoons salt; 2.1/2 teaspoons sugar; packet of dried yeast. Sometimes I add sunflower or pumpkin seeds. Today I just brushed the tops with milk and scattered poppy seeds on. Dinner tonight will be as lazy: beef stew made some time ago, from the freezer, with dumplings. I know, it’s not yet winter but I love stew and dumplings and it’s quite chilly today. Although I kept a daily journal of the trip on Facebook (Dusty2Romania) I do intend to do at least one post here, about in particular the campsites on which we stayed, from the horrors of Budapest to the excellence of some in Austria and Holland. Soon. 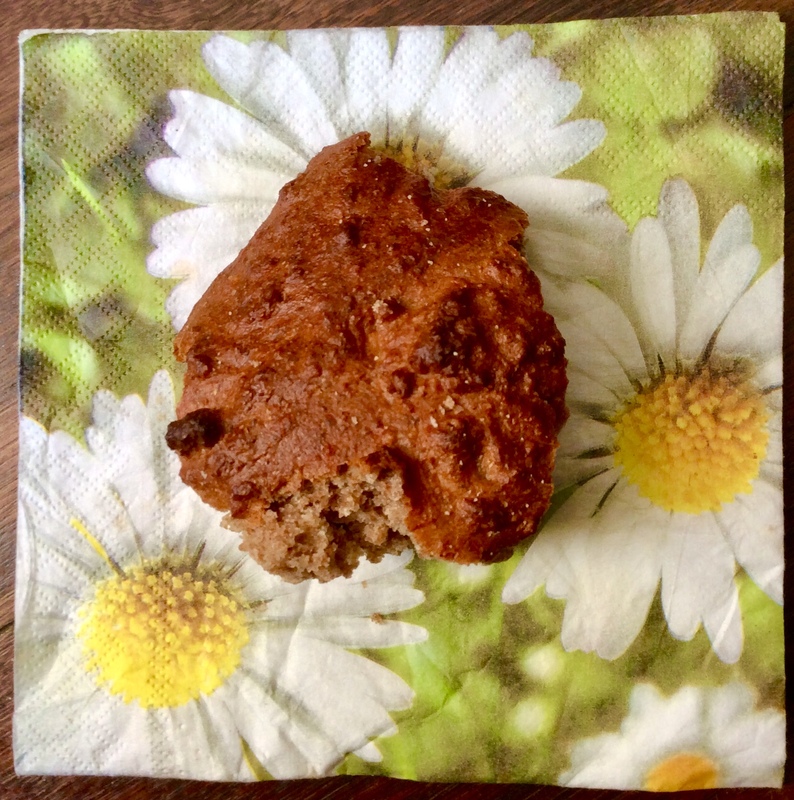 It’s a bit late for me to make Yorkshire parkin for 5th November, the traditional ‘cake’ to eat on ‘plot’, or ‘bonfire’ night as it improves if left to mature, to get the vital moist stickiness. The eight days left now is less than I would usually leave but it’s enough. I couldn’t remember the quantities of each ingredient but having gone onto internet and seen recipes from various ‘celebrity’ chefs, I didn’t find one who truly understood what makes a ‘proper’ (thus the word in the title of this post) Yorkshire parkin. There are three essential ingredients: oatmeal (not porridge, or rolled, oats); ginger (not mixed spice) and bicarbonate of soda (not baking powder). These three ingredients, including the bicarbonate, are what gives Yorkshire parkin its unique taste and texture. I think also you should use dark brown sugar, not light brown as suggested in several recipes. I took the quantities for a 9 inch (22.5cm) square tin from a BBC recipe, doubled them as I was using a much larger tin (a roasting pan, as used by my grandmother), and where necessary changed the ingredients to bring into line with the comments above. Butter a 9 inch cake tin (or line with baking parchment). Gently warm the butter, sugar, golden syrup and black treacle in a pan until the sugar is dissolved. Mix together very well the dry ingredients in a large bowl. Add the melted ingredients and mix again very well. Add the milk, mixing well again, and finally add the lightly beaten egg and mix till very well combined. Pour into the prepared tin and bake in the oven until firm (about 50-60 minutes – it was longer from my larger parkin). When cool turn out, cut into squares and wrap in nonstick paper then foil (or put in an airtight tin). Try not to eat it for a few days; I prefer a couple of weeks. By the way, it makes a great pudding; just warm it and pour over a generous helping of custard. I should say that there are other parkins, notably from over the Pennines in Lancashire. I’ll leave it to others to argue about where it originated. Other traditional foods for plot night are baked potatoes (in the bonfire, not the oven – taste quite different), and plot toffee (basically parkin without the dry ingredients, boiled till it will set hard). I was horrified to hear an advertisement for Heinz mustard claiming that hot dogs are traditional bonfire night food. Bull****. Remains after juice has been extracted. There’s two days output here, about 250g. Avoiding food waste is a hobbyhorse of mine – big soup maker – but every day now I throw away something which I’m sure could be used in some tasty recipe. It results from every day drinking a glass of juice from beetroot, apple, carrot and ginger. I did promise you a foodie post a few days ago. No, I have not begun to believe in miracle cures but it can’t do me any harm, probably some good, and tastes good. It’s also really easy to make thanks to a Moulinex ‘Super Juicer’. However, it seems a sin to throw away the semi-dried solids which remain after juice is extracted. I have wondered about just subsituting it for the carrot in a carrot cake recipe, or even for the beetroot in a beetroot/chocolate cake. However, I thought I’d ask all you great cook bloggers out there for suggestions before it try it. I use 1 Granny Smith apple, a beetroot about the same size (or a chunk of a large one), about the same volume of carrot and about half that of ginger root to end up with a glass of juice. From this, about 125 grams (5 oz) of semi-dry mixture remains. By the way, other than the bread maker to make dough as far as the first rising, I’m not a great fan of electrical devices in the kitchen, generally preferring a bowl, knife, wooden spoon, balloon whisk and hands. But the juicer really is a revelation – two or three minutes to make a glass of juice, two or three more to clean the machine.